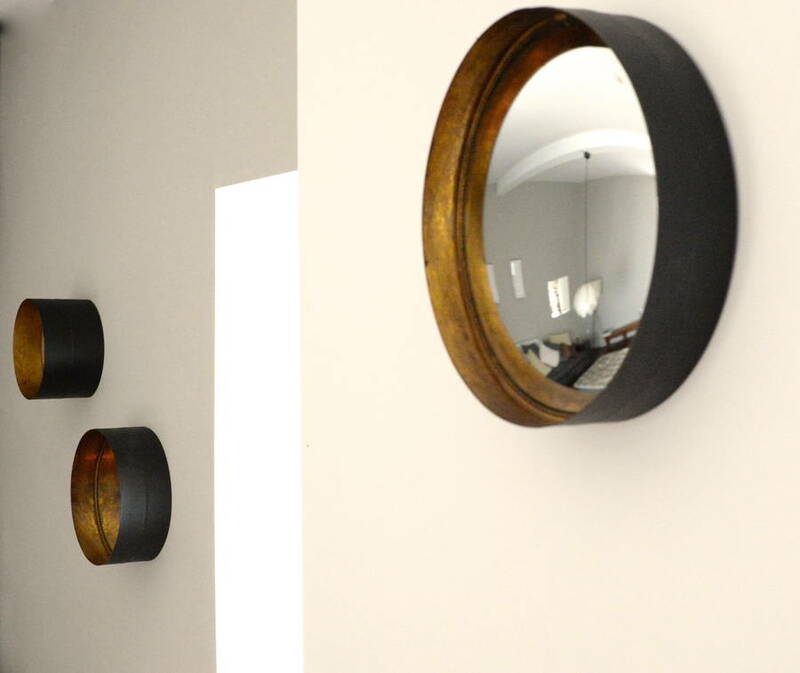 Three, individual, black and gold burnished mirrors. 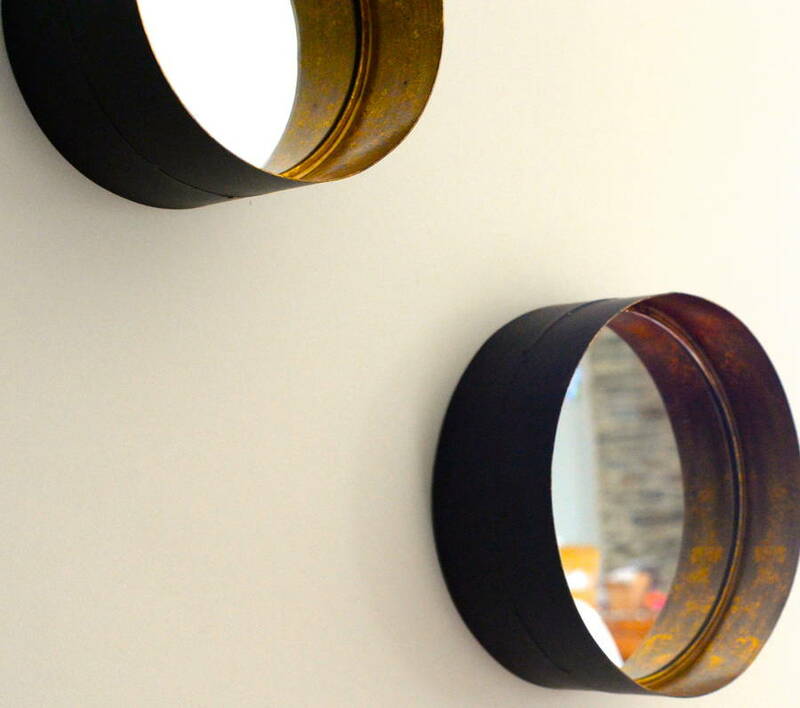 These mirrors have a deep black metal surround and the inside is in a lovely aged burished gold. They look great individually or grouped as a matching set or in a mix of sizes. They have a slight industrial feel, but the gold interior softens them, making them great in many rooms, from the kitchen to the snug. Available in three different sizes and are sold individually. The large shape can be convexed.